Do you know about the Sabarimala temple protests? Sabarimala Sree Dharma Sastha Temple is dedicated to Lord Ayyappa, situated in Kerala. It is one of the most famous and prominent temples among all the Sastha temples based in Kerala. The temple has been in news for some time now because the entry of women ageing between 10 to 50 years was banned in the temple from time immemorial. After much protest the Hon’ble Supreme Court of India, New Delhi had passed the verdict that women shall be allowed to visit the temple. The Court based its decision considering the scientific, biological and physical aspects. The decision of the court supported the argument put forth by feminists that based on the biology of women and the fact that they menstruate shall not be a cause to prohibit their entry into any temples. The Supreme Court also presented a rational and logical argument that devotion to lord should not be categorized based on our biological differences and considering that women were born out of a lesser god is absolutely unconstitutional and baseless said Justice Chandrachud. Even after passing of the verdict by Supreme Court to allow the entry of women, there have been protests where locals are not letting women enter the temple. The recent efforts of Trupti Desai to visit the temple were condemned and opposed when the local taxi drivers refused to take her along with her supporters to the temple. She waited for more than 12 hours at the Kochi Airport, but all her efforts went futile when she couldn’t move forward and had to finally return. While some people are speaking in favour of the verdict passed by Supreme Court, some of them criticized Trupti’s decision to disrespect the belief of the locals and to enforce herself into something which even the local women prevent from doing. It is believed that the local people of Kerala, fear divine wrath and they cannot risk their lives and livelihood for the sake of promoting gender equality by allowing the entry of women in a certain temple. Not immediately after they had witnessed the havoc of severe floods that affected Kerala. 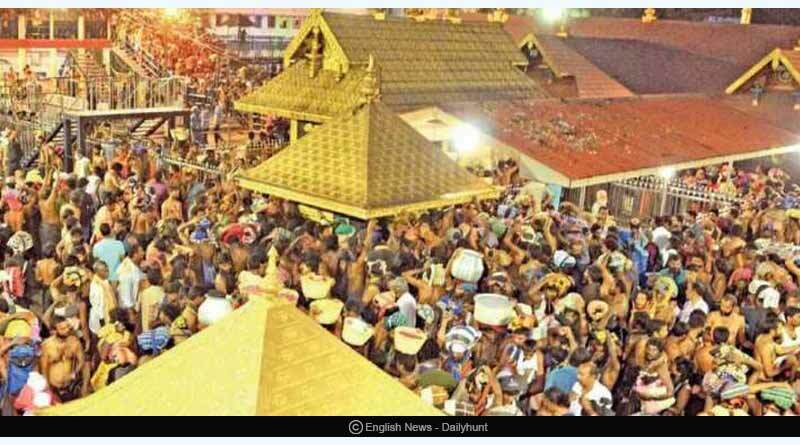 The entry into Sabarimala temple does not only confine to precautions related to prohibiting menstruating women but there are also precautions meant for men like one has to follow celibacy for at least 41 days to be able to enter the temple and to have ‘Darshan’ of the deity. Such protests not only make the lives of the local people and devotees that come to visit the deity from far off places miserable, but such protest also put the lives of many people in danger with jams happening and roads being diverted or closed. Many locals have said that God forbid if any other calamity like that of the floods that took place recently happens once again, who shall be responsible for that. One more aspect that we would like to bring into consideration is the fact that whenever any temple is built and an idol is established in it, there are a set of mantras and chanting which is performed to bring life into that particular idol. The chanting is to bring together and invoke the forces and elements of the universe and then it remains no ordinary idol but rather very much like a living being, as per the Hindu Vedic religious belief. Let’s consider the simple example of the festival of Karwa Chauth that is popularly celebrated and many women still observe the ‘Nirjala’ fast which means one would not even consume water for the day. Even when there are live examples that the husband of the other nations also continue to remain hale and hearty even when their wives do not observe such fasts, the women at that point do not demand equal traditions be made. They are not standing for rights to be made where the men are also required to observe fasts for their wives. When it comes to traditions and customs, we tend to give the benefit of the doubt. Rather than investing our time into protests that can put the life of people in danger, we must protect the rights of women where they are poor, weak and are downtrodden. The incursions of such kind as that of happening in Sabarimala temple shall not be encouraged. We do not intend to encourage riots or protests but to let people understand that when we can respect such traditions then why can’t we respect the belief system of the people of Kerala, who have been conditioned to believe that letting women in can really affect the lives of women and bring destruction. It is not about women’s rights, as it is not about prohibiting women to study, to appear for exams and other life rights. Therefore, it is a harmless prohibition, which can be removed once we have significant evidence in hand about why the entry is banned and how can it impact the lives of women and people in general. When we could wait until the verdict of Supreme Court, let’s wait for some more time to let the belief system of people be changed. Let’s respect the rules and belief of the people and the place. Nationallsts in Kerala should reach out to Syrian Christians since they are culturally in sync to Hindutva and have brains. Time to isolate Commies. 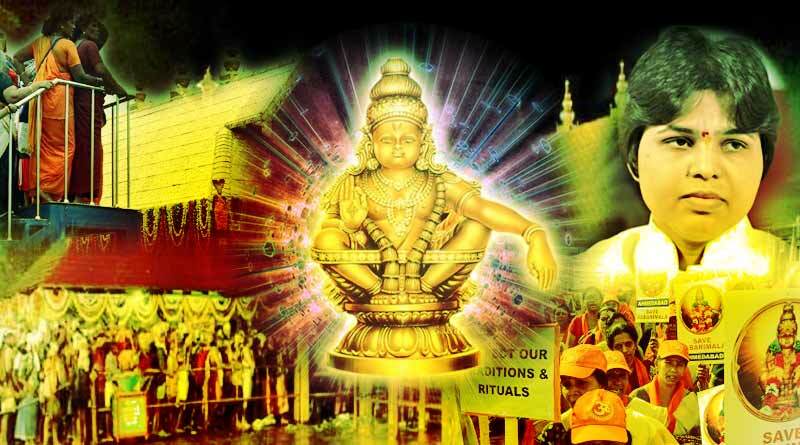 For more details on Sabarimala temple protests and related updates, like and subscribe to tentaran.com.